Lapeer Community Schools is a dynamic community organization embracing our students with a quality learning environment, developing independent and confident learners for the future. 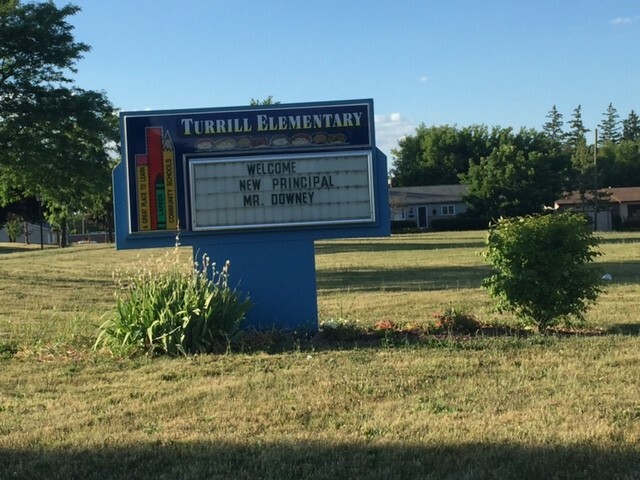 At Turrill we're not just building things. We want to work with our parents to build better people!! A Community of Success! We think that each one of us is strong individually but we are even stronger when we work together. Please remain in your car and have your children enter/exit on the side nearest the sidewalk. 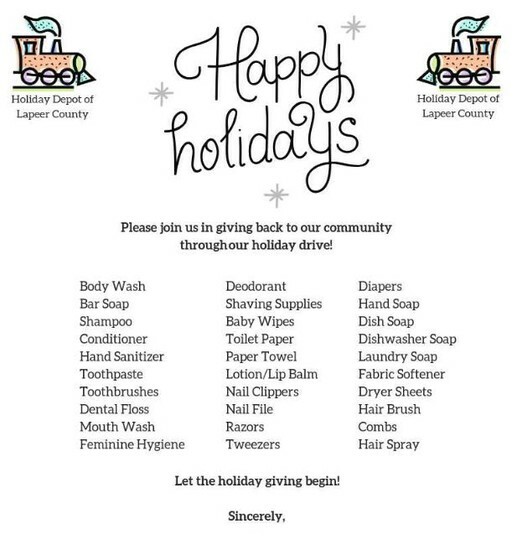 Turrill Elementary and SERVPRO of Lapeer are teaming up to collect items listed below. A collection box is located at each classroom. Event hours - 5:00-7:00 with a special visit from Mr. and Mrs. Claus! Miss Eisinger is a graduate of Lapeer Community Schools and has most recently been teaching in the Upper Peninsula. The District started holding strategic planning focus panels late last month. During those engagements, a proposal was presented to right-size the District as a first step in the strategic planning process. There will be a lot more information coming out in the next several weeks, and many opportunities for students, staff and the entire community to get involved in the process. We are currently planning for our next round of engagements, a pair of focus groups comprised of 80-100 people per session. We will have more information on those in the near future. If you would like to be a part of one of the focus groups, please e-mail Mary Moss at mmoss@lapeerschoolsl.org. 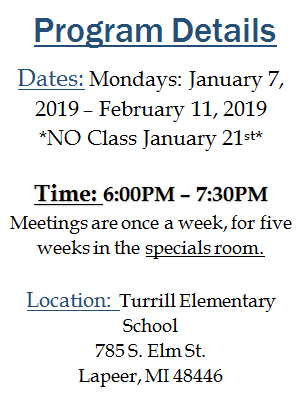 For more information, please visit the District Website and click on the strategic planning link on the main page. Produced by NBC News and supported by Pearson, the Parent Toolkit will help you navigate your child's journey from pre-kindergarten through high school.